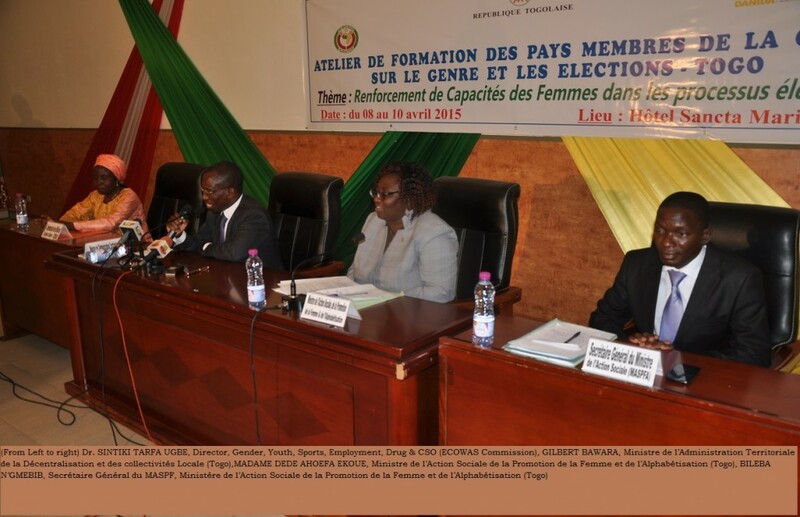 The ECOWAS Commission has called for an effective participation of women in Togo’s 2015 presidential and general elections.In her speech to the opening of a three-day Gender and Elections Training in Lomé, Togo on 8th April, 2015, ECOWAS Commissioner for Social Affairs and Gender, Dr. Fatimata Dia Sow, charged participants to proactively promote the effective participation of women and increase the proportion of women voters at Togo’s national elections. While urging for the conduct of peaceful elections, and the respect for human rights and the rule of law by all political stakeholders in Togo, the Commissioner called on all participants to advocate against electoral violence in line with the provisions of the African Charter on Elections, Democracy and Good Governance.The Commissioner, represented by the ECOWAS Director of Gender, Dr. Sintiki Tarfa Ugbe, equally highlighted the need to engage women in conflict prevention and resolution, as well as in post-conflict peace building processes in the region. 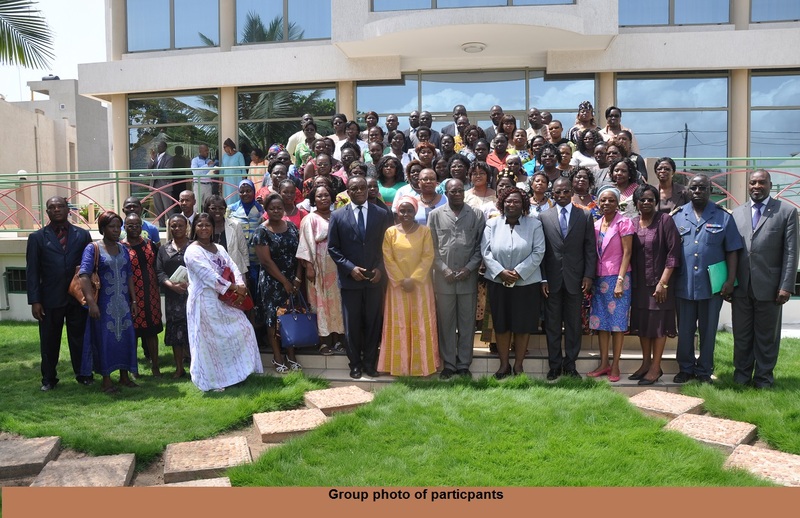 Similarly, Togo’s Minister of Women Affairs and Social Development, Mrs. Dédé Ahoefa Ekoue, urged participants to maximize the opportunity of the training, which is facilitated by the Building Resources in Democracy, Governance and Elections (BRIDGE) programme, to enhance their capacities and share experiences on lessons learnt with their networks. The ceremony was attended by Togo’s Minister for Territorial Administration and Decentralisation, Mr. Gilbert Bawara, among other dignitaries. The training, which seeks to address deficiencies in advocacy capacities of women as a constituent, will also incorporate elements of political leadership and dialogue towards promoting gender equality in national political representation. 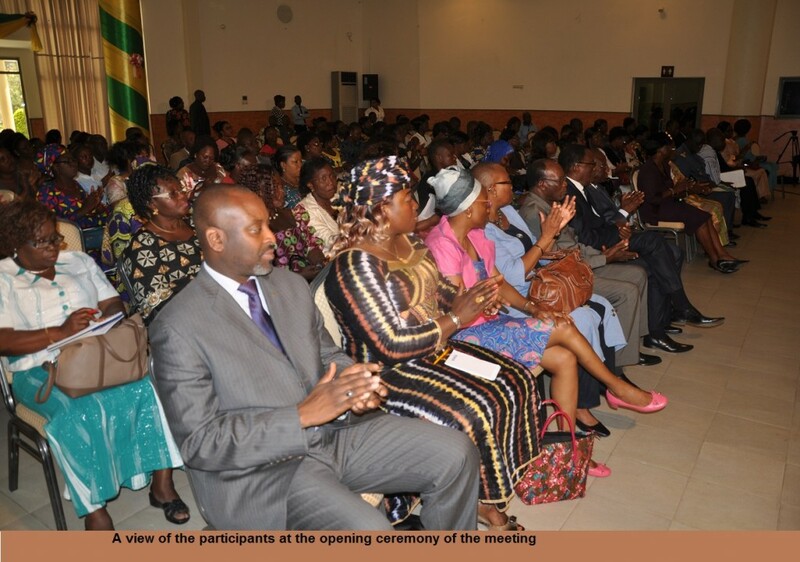 It is organized by the ECOWAS Commission in collaboration with the Ministry of Women Affairs and Social Development, Togo and with the support of the Danish International Development Agency (DANIDA).